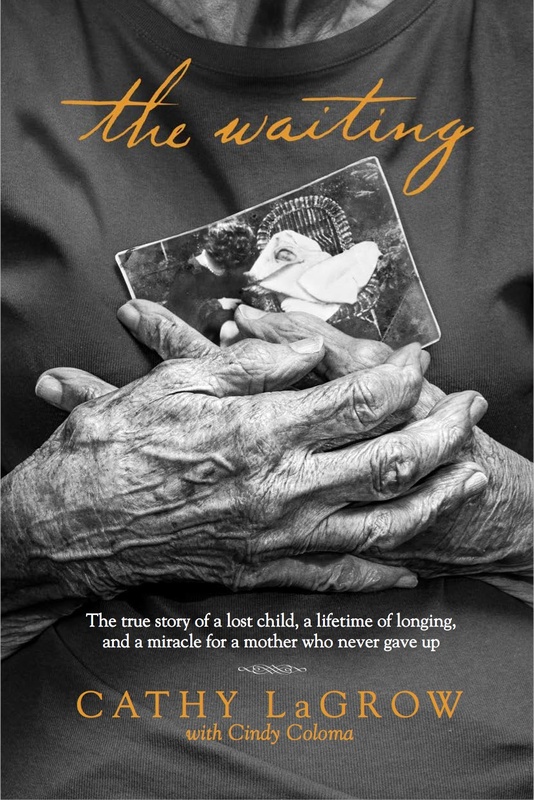 Well, here it is…the stunning cover of Grandma’s book, The Waiting, which will be published in May by Tyndale! I am working morning, noon and night (along with my partner, Cindy Coloma) to meet the manuscript deadline of December 31. Tyndale is wildly excited about the project, and is fast-tracking the release for a Mother’s Day tie-in. They have also lined up some exciting national media events for May that I am ABSOLUTELY, POSITIVELY NOT ALLOWED to talk about. Boo. I couldn’t have asked for a better agent (Janet Grant), a better collaborator (Cindy), or a better publisher. All of them love and believe in this story as much as I do. It’s been an amazing journey, one I’ll write about someday. I am so privileged to be able to be a part of sharing this wonderful story. Anyway, the book is available now for pre-order on Amazon. You can see it there, by clicking here! I’ll be sharing more details with you as they unfold. And reminding you to help spread the word. Over and over. ‘Cause that’s how I roll. And now, I literally have to get back to work. Fantastic! This is so cool. Awesome! Looking forward to reading it….. Love the title, the caption, and the cover picture. Love. Love. So excited for you. yay!! You already saw my response to the book cover. love you! That is just one of the most amazing things ever!!! So proud of you! What a beautiful cover! Wow. I just finished “The Waiting” and it brought me to tears when Minka finally found her long lost daughter! So touching!!! Beautiful story and wonderfully written! One comment in case there will be a second edition….. The frysian name should be spelled “TJITSKE” with the second letter T. I’m 99.9% sure, being born in Holland/Friesland myself and having a girlfriend by that name! Thank you so much for writing (and sorry about the late reply)! I can’t tell you how many times I cried while I was WRITING the book!